F-Day: The book is finally here! 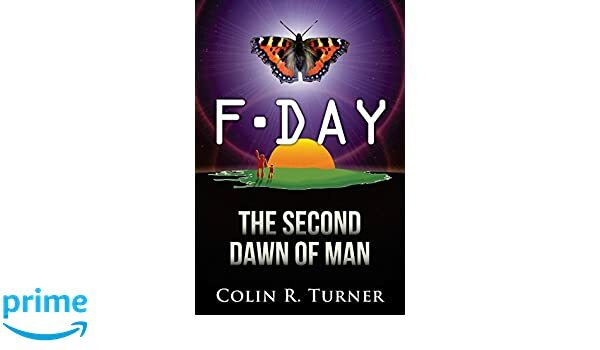 F-Day: The Second Dawn Of Man has just been released on Amazon! F-Day is a story of transition - a fictional account of events leading to a world beyond money. Within days of its release, the book already entered Amazon's Kindle top 100 and has earned a five star rating! This is a mainstream novel with a powerful message. If you like the idea of a world without money and want to see just how easily transition could happen, then this book is for you. If you can, please buy it, review it, share it and let's get the word out there.. Thank you. F-Day = Free Day = The day when the world's largest economy revokes the monetary market system in favour of a collaborative, technological society based in nature, community and compassion. The F-Day Clock target is currently June 14, 2040, but this is subject to change as events in the world dictate. The clock is run by a small team of experts who are monitoring the global situation and periodically adjusting the target date accordingly. Click on 'Clock Updates' to see what changes have been made and why. The release of Jeremy Rifkin's 'The Third industrial Revolution' brings many ideas of the sharing economy right into mainstream politics and economic thinking.